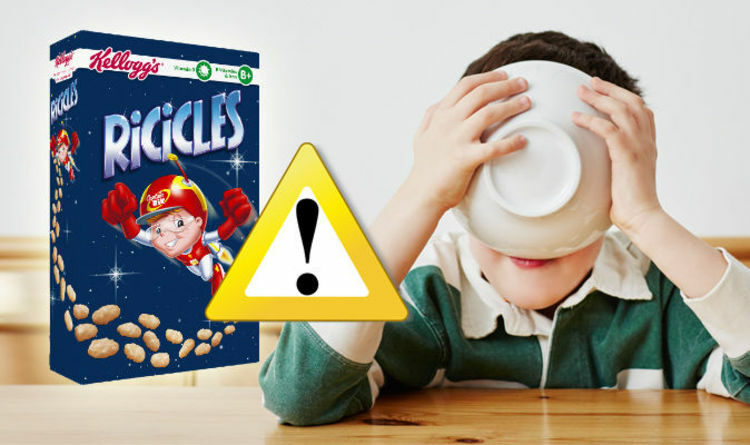 Kellogg's is set to scrap popular breakfast cereal Ricicles. For those not in the know, the cereal is sugar frosted toasted rice. The £2.70 breakfast will see its last days on the shelf in 2018, ahead of government targets to slash sugar by 20% by 2020. Per 100g, the FSA traffic light labelling system gave the Kellogg’s product a red light for its sugar content - signalling it is high in the substance. It was, however, low in fat and saturated fat, and came in medium for salt. Per 100g, the cereal had a whopping 34.0g of sugar, which meant approximately 10g per bowl. That’s over two and a half teaspoons of sugar per bowl and 8.5 teaspoons per 100g. If you are looking to cut down on your sugar levels, here are the alternative snacks for a healthier lifestyle. Children should eat no more than 24g of sugar - six sugar cubes - per day, government rules recommend. Coco Pops, Rice Krispies, and Rice Krispies Multi-Grain Shapes are having sugar levels slashed to conform with the new rules. Mr Morton said the company recognised "people are eating too much sugar at breakfast and throughout the day". The levels of sugar in Rice Krispies will be slashed by 20% and Rice Krispies Multi-Grain Shapes by 30%. The whole recipe for Coco Pops will be changed by July 2018; the sugar content will not exceed one sugar cube per serving. Dr Anna Robins, a senior lecturer in exercise, nutrition and health at the University of Salford, told the BBC's Wake up to Money programme: "Any move to be helping the general public to make healthier choices is a good one. "[But] I don't think they're going far enough to be making these cereals a healthy option in the morning."